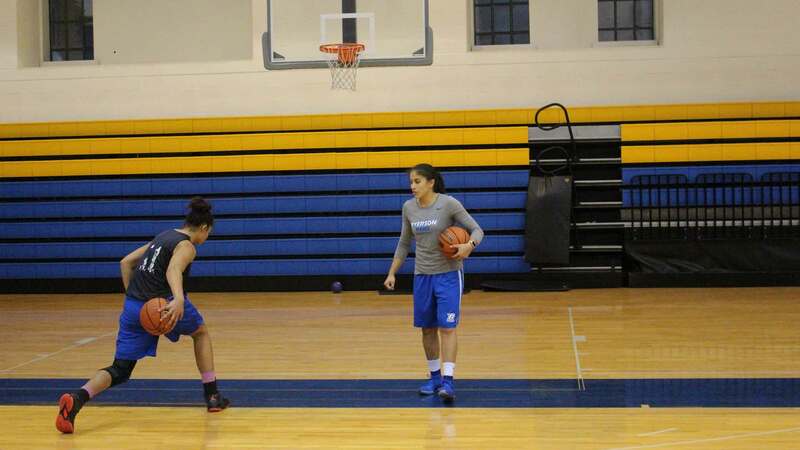 The Ryerson women’s basketball team is gearing up for another season following the best year in the program’s history, and their success has given them the opportunity to make an important addition to the team. After winning the program’s first-ever Ontario University Athletics (OUA) championship and national tournament silver medal, the team has earned “CIS High Performance” classification, the highest ranking a team can attain under Ryerson’s athletics structure. That means a 20 per cent increase in funding and the ability to hire the team’s first full-time assistant coach, Jessica Roque. The team will also have three part-time assistants on the coaching staff, but aside from head coach Carly Clarke, Roque is the only female coach. Roque’s primary responsibilities this year will be player development, recruiting and film breakdown. Although the team already has multiple part-time assistant coaches to help in those areas, getting an extra full-time staff member is a benefit of increased success, one that the men’s basketball team has experienced since Patrick Tatham became a full-time assistant in 2013. Players are required to schedule at least one workout a week with Roque to concentrate on individual aspects of their game when they have the time. The Rams have high expectations after last season’s success, and Roque knows what it takes to build a winning culture. Roque, officially titled as the team’s lead assistant coach, is a former Cleveland State University basketball player. Over her four seasons with the Vikings, she helped lead her team to its first two Horizon League championship titles and a pair of NCAA tournament appearances. Following her playing career, Roque spent one season as an assistant coach with Cleveland State, but decided to join the Rams this past summer after meeting Clarke at a coaching clinic hosted at Ryerson. The Rams open their season on the road against Laurier this Saturday, marking Ryerson’s first OUA game with a full-time assistant coach on the bench.